Democrat Mark DeSaulnier currently represents Congressional District 11. DeSaulnier is expected to win re-election in 2016. Prior to being elected to Congress, DeSaulnier served in the California State Senate where as Chair of the Transportation and Housing Committee he fought for greater accountability on the state’s transportation infrastructure projects including the Bay Bridge, and was a strong advocate for safe and efficient transportation systems. He also founded the Select Committee on Excellence, Innovation, and Accountability in State Government as a means to examine the ways to improve state government to more efficiently and effectively deliver services to California citizens. Mark also served in the State Assembly and received the distinction of being the first freshman in history to chair the Assembly Transportation Committee. During his time in the state legislature, Mark championed issues that impact the most vulnerable populations of California, introducing legislation to support underserved, homeless, and foster youth, and founded the Ending Poverty and Inequality in California Caucus. He also fought to safeguard against corporate tax giveaways, to end prescription drug abuse, and to protect homeowners against foreclosure. He was a proponent of more stringent guidelines to prevent the use of harmful, toxic pesticides in schools, and worked to foster regional coordination as a co-chair of the Bay Area Caucus. From 2008 to 2014, during the time he was in the state legislature, 61 of Mark’s bill were passed and became California state law. DeSaulnier served locally as a Concord City Councilmember and as Mayor. He was appointed to the Concord Planning Commission and was a member of the University of California Toxic Substances Research and Teaching Program Advisory Committee. Prior to serving on the City Council, DeSaulnier was appointed to the Contra Costa County Board of Supervisors, where he was re-elected three times. As Supervisor, he served on the California Air Resources Board, the Association of Bay Area Governments, the Bay Area Air Quality Management District, and the Metropolitan Transportation Commission. 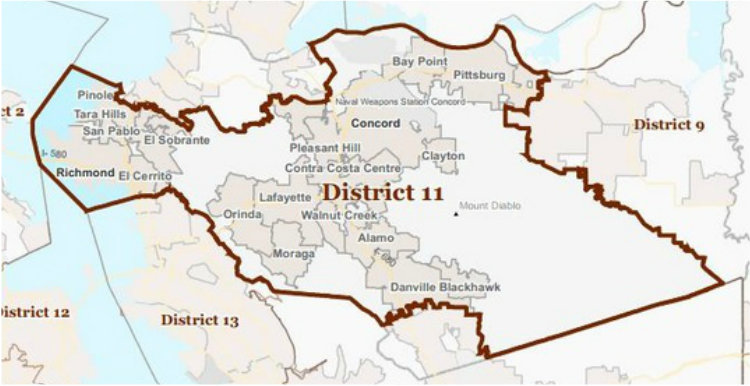 Mark championed several local issues including the Expansion of Highway 4, BART to eastern Contra Costa County, and the development of a fourth bore of the Caldecott Tunnel. Born in Lowell, Massachusetts, DeSaulnier earned his BA in History from the College of the Holy Cross. As a young man in Massachusetts, Congressman DeSaulnier worked for the Boston juvenile court, as a warehouse worker, and as a hotel services employee. DeSaulnier was a member of both the Teamsters International Union and the Hotel Employees and Restaurant Employees International Union. In the early 1970s Mark moved to California. Over the next 35 years, DeSaulnier would own and manage several successful Bay Area restaurants. Mark has been a small business owner most of his career.